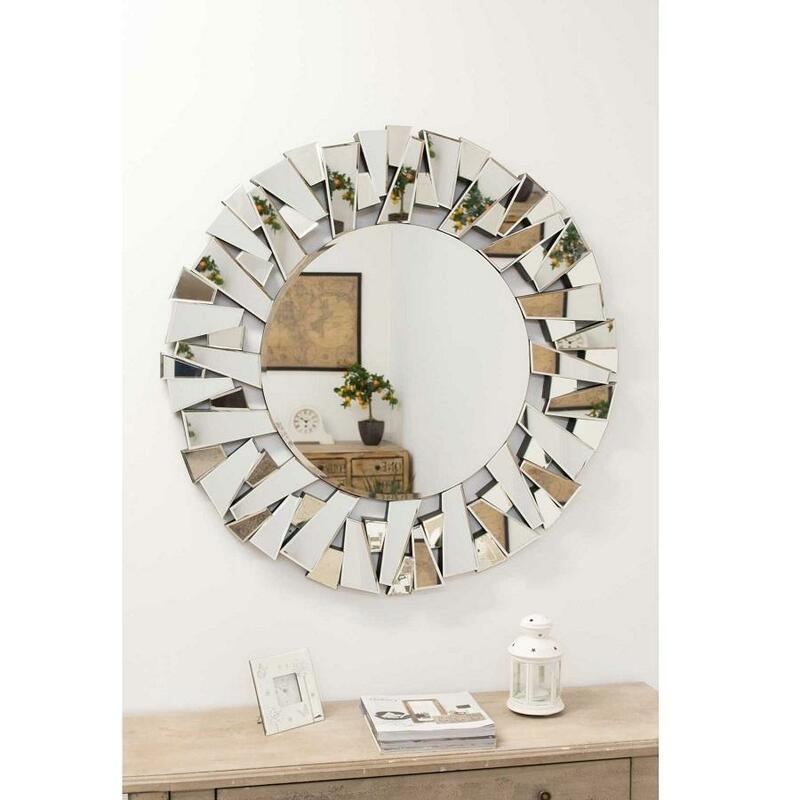 This Light Rays Round Venetian mirror is a unique yet contemporary multi-faceted framed wall mirror. 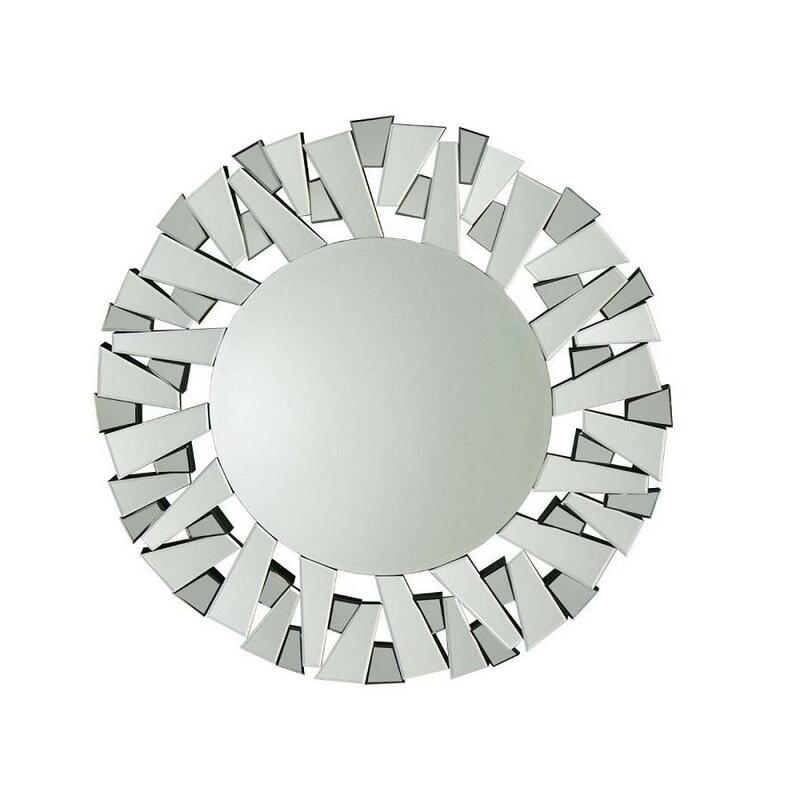 There are 64 individual bevelled pieces of glass which go into making this diverse angled designed frame. 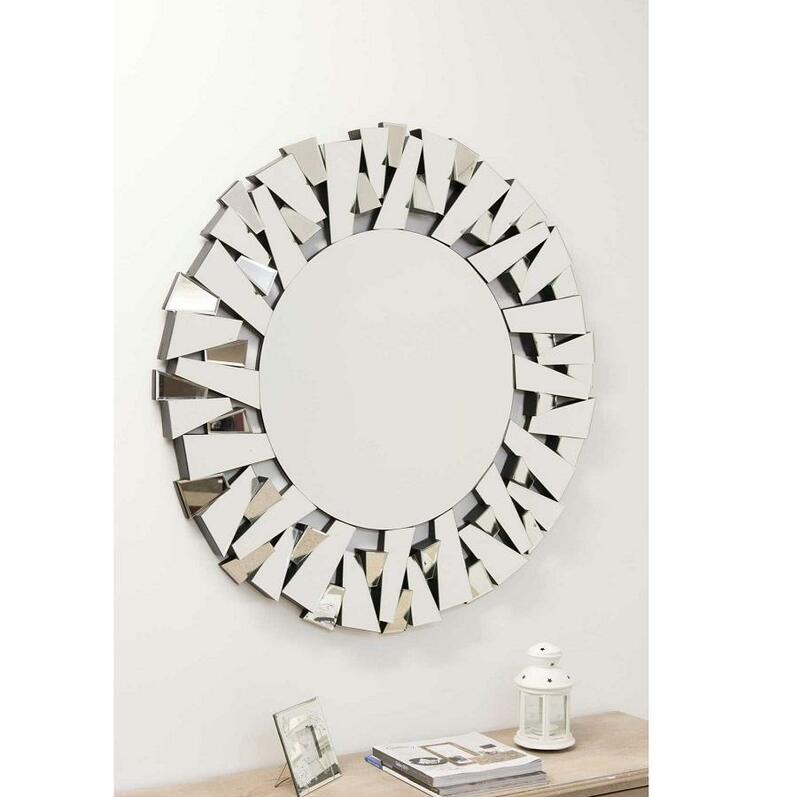 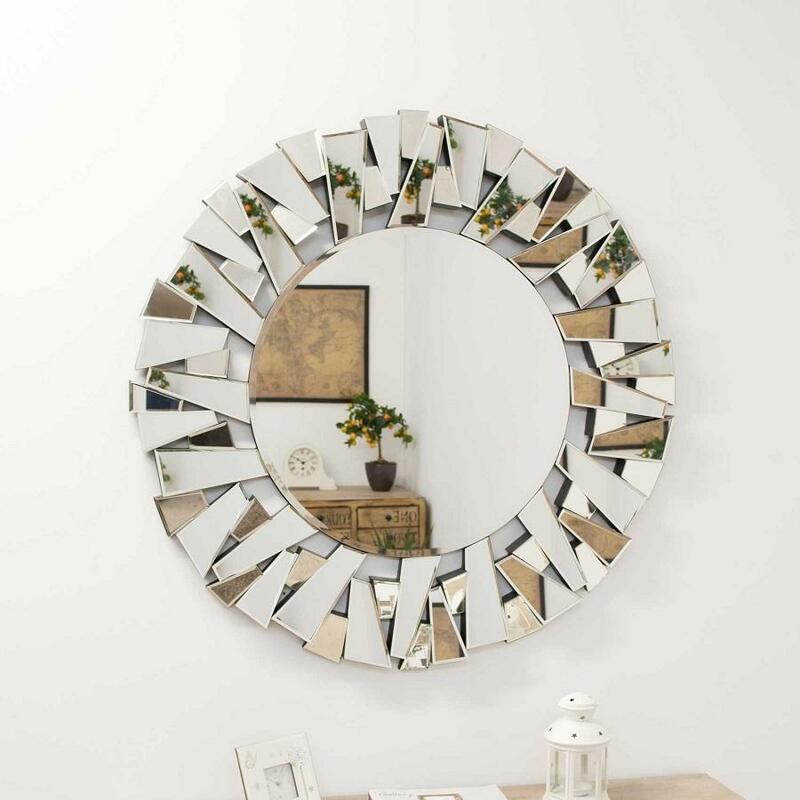 Each mirror is hand assembled and will surely be a true statement piece in any location in your home.